Social media is hot right now, and will be for the foreseeable future. With hundreds of millions on Facebook, and millions using Twitter and LinkedIn, social media is a critical component of virtually any marketing strategy. Why? It’s where people are. With numbers in the hundreds of millions, chances are good most of your existing customers or clients are in some way connected with social media. And almost certainly, potential customers or clients can be found there. It’s flexible. Social media offers an opportunity to connect with your audience outside of your physical location, standard business hours, and more traditional means of communication. It’s everywhere. Social media apps on mobile devices ensure that a constant flow of information is available to end-users, wherever they happen to be. As a result, it makes sense to maximize the potential of social networking and make it part of virtually any online marketing strategy. So why isn’t social media enough? Some people don’t use social media at all. As certain as it is that many you hope to reach are in some way connected with social media, some probably aren’t. Of those, how many can you afford to not reach? Most social media users aren’t interested in ads. Businesses that simply post promotional ads on Facebook and Twitter miss the point of social media—to socialize and share interesting content. It’s not enough to just have a Twitter account; you have to have interesting content as well. People need a place to go. Click-throughs are an important metric of the effectiveness of a social media strategy. Likes, shares, and comments are also important, but because their engagement is limited to a given post it is difficult to know whether users are finding a pathway to engage with your brand outsideof the social network (which is probably where most of your business takes place). Social media integration with a web presence can be a powerful combination. When users land on your site, can they connect their experience there with their social network? Can users easily share or Like individual pieces of content on your website? Social media marketing is becoming more complex. In the hopes of reducing their marketing budget, many organizations make the mistake of relying entirely on social media for marketing. Unfortunately, this social media-centric approach has problems. First, a great deal of information is lost in the noise and is routinely filtered out by users and networks. Second, the social network scene is in a state of constant change, and social media is likely to continue seeing some fragmentation. In order to remain broadly relevant on social media, the cost of marketing there is likely to increase not decrease. Generally speaking, it’s a myth that a social networking presence alone is enough to guarantee success in marketing online. For every exception, there are thousands of cases in which that strategy simply doesn’t work. 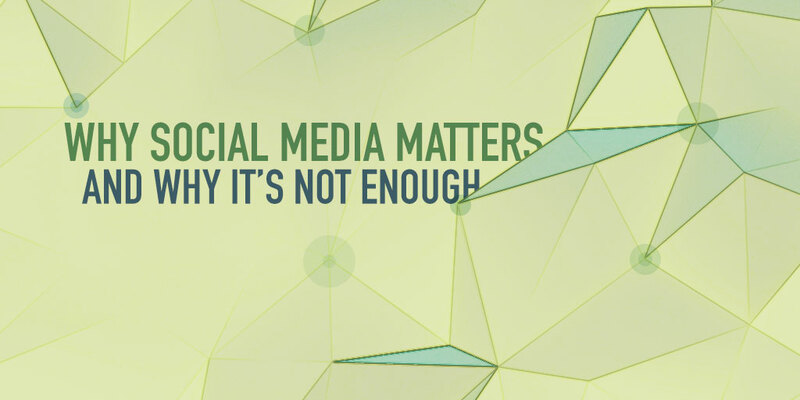 But that’s not to say that social media shouldn’t play a role in marketing online. In my next article, we’ll look at some tips for better understanding the impact social media can have in your marketing strategy.